THE howling July wind at the Jurien Bay Oval ripped a number off the scoreboard as we approached. It’s something to keep in mind… stand up-wind of the scoreboard at breezy places. 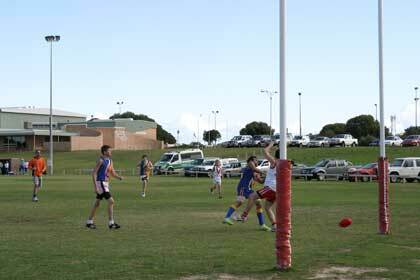 It was an unusual Sunday with just the reserves being played – Jurien Bay vs Warriors from the inland town of Moora. Both teams had trouble putting a team on the ground and kids were playing with adults. When one skilful skinny kid kicked a goal his adult opponent gave him a pat on the back. Up at the scoreboard Sam and Jake were watching carefully while sheltering from occasional showers. They have their own way of doing things. 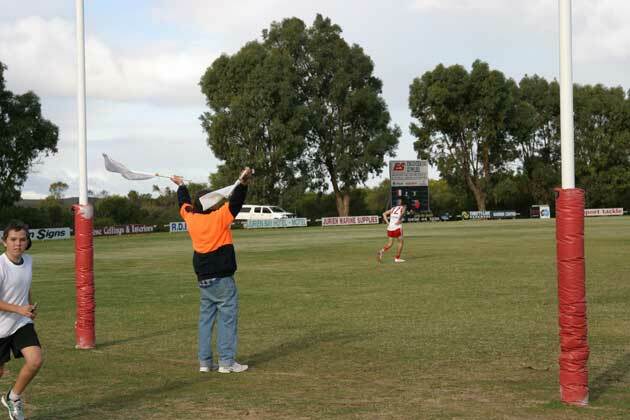 When the quarter time siren sounded Jake jumped from the scoreboard and raced out to the middle of the ground to meet the goal umpires and confirm the scores. “It’s right,” he yelled back to Sam. Boundary umpires Cooper and Mitch used the break to visit their mates on the scoreboard. 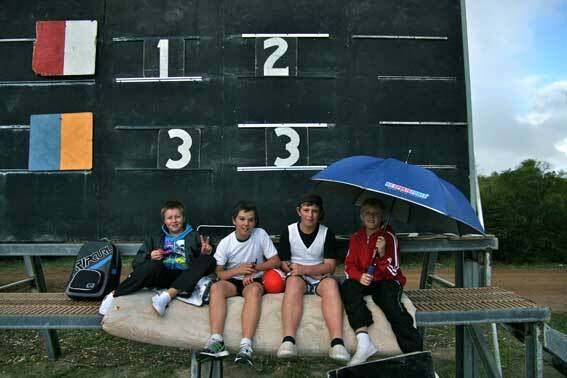 The boys play little league and all have the same ambition – one day they want to play A-grade or B-grade for Jurien Bay. Warriors kicked with the wind in the first quarter and established a narrow lead but then things changed dramatically. The scoreboard attendants had plenty of work to do as Jurien Bay piled on 24.20 (164) while Warriors added just seven behinds after quarter time to finish on 3.10 (28).